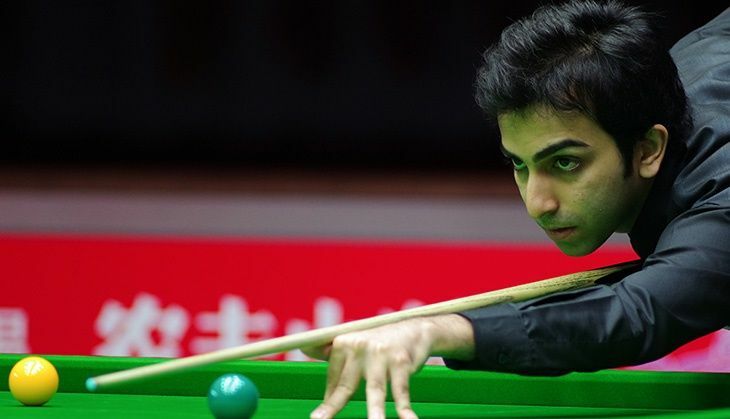 India's ace cueist, Pankaj Advani, created history in Abu Dhabi by clinching the Asian 6-Red Snooker title on the night of 22 May. With his win, Advani is the first player in snooker history to hold both world and continental titles in 6-Red snooker at the same time. The double International Billiard and Snooker Federation (IBSF) World Six-Red Snooker Champion, Advani stamped his authority again in the short format of the game. He defeated top seeded Malaysian Keen Hoh Moh 7-5. Advani won the final in a battle of fluctuating fortunes by keeping his nerves intact. With a confidence boosting 6-1 semi-final victory against compatriot Aditya Mehta, Advani booked his spot in the final, a step closer to winning his first continental title. Advani walked to the table with the utmost poise winning the first frame 39-4. With a loss of the second frame, 6-51 to the Malaysian who scored a break of 51, Advani won the third frame 40-14 before losing the fourth frame, 37-0. The fifth and sixth frame belonged solely to the 30-year-old Advani who cleared the table 41-7 and 44-8 respectively. With the Indian ace leading the match 4-2 at the end of six frames, Keen Hoh Moh fought back by winning the seventh frame, 38-21 only to lose the eight frame 24-45 with Advani securing a 45 break. By the ninth frame, the match was extremely close with Advani leading the Malaysian by a single frame and extended that lead to a difference of two frames by winning the 10th frame, 45-36. The Malaysian narrowed the lead by winning the 11th frame 38-15 before Advani won the next 53-24 to claim the title. Commenting on his win, an ecstatic Advani, who won his first title of the year, said, "It's my first individual Asian snooker championship, so the feeling is unreal. Having missed out on the 15-red Asian snooker title last month made this a mission for me to accomplish. Winning it the same year as my world title in the Six Red sends me over the moon." Advani will now spearhead the Indian challenge in the team event with Aditya Mehta, Manan Chandra and Kamal Chawla.